Now scheduling investigations for 2009. Welcome to the STORM website. We are a private group of paranormal investigators dedicated to the research and ultimate understanding of paranormal phenomena. Our group started after an unusual occurence involving the founders of STORM. 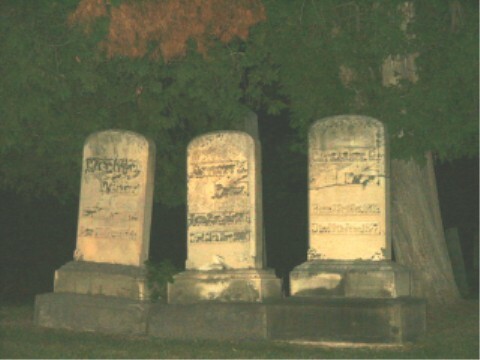 This led to cemetery investigations, unexplainable photographs and voices on recorders that were not ours. We then decided to purchase photography equipment, take classes in videography and start doing extensive research on theories and possible occurences of paranormal phenomena. The evidence that we present on this website comes first hand from personal experiences in various locations, including cemeteries, businesses, public and private properties as well as residental locations. We document experiences and catalogue information while searching for a better understanding. We hope if we're not able to provide an answer, we can provide a means for you to form your own opinions through our findings. Ok so I made that last part up, but we believe that as well. You believe whatever you want to believe, as long as you respect others and allow us the same opportunity for our opinions. Now, ya wanna call us so we can get together, share ideas and do some research, or what? Death is but crossing the world, as friends do the seas; they live in one another still. For they must needs be present, that love and live in that which is omnipresent. In this divine glass, they see face to face; and their converse is free, as well as pure. This is the comfort of friends, that though they may be said to die, yet their friendship and society are, in the best sense, ever present, because immortal. Dont forget to sign our guestbook- just click on "Contact Us" at the left!